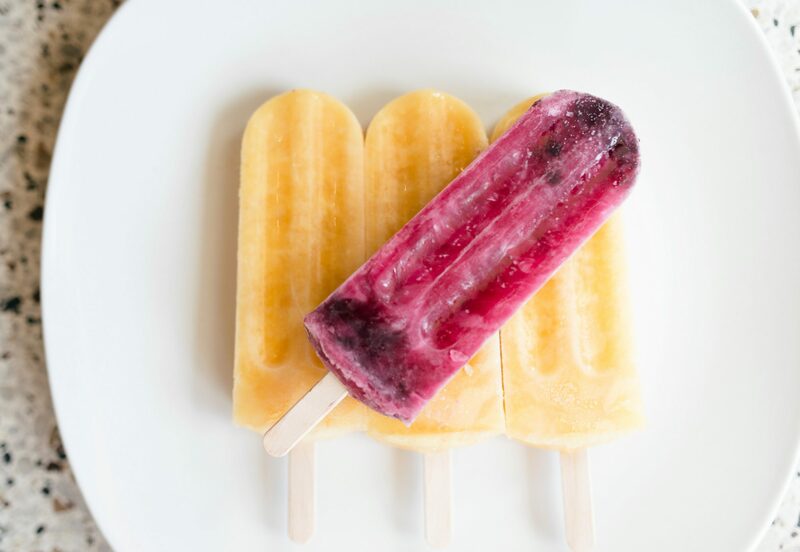 At Essie & Olive, we specialize in gourmet frozen pops made from whole fruit and natural ingredients picked at peak seasonal freshness, and locally sourced when available. We strongly believe in supporting our local growers and producers of high-quality ingredients. Essie & Olive, LLC was founded in Lenoir, NC by David and Deanna Talbert in the spring of 2016, and with the start of the new year 2019, the Talberts are thrilled to bring all pop production to their beloved Nashville, TN, the very place where their story began. Essie & Olive…What’s in a name? Essie was Deanna’s late mother and Olive was David’s late grandmother. Women who are representative of the grandmothers, mothers, aunts, and caregivers who provided wholesome and healthy food to us all as children, creating our cherished food memories – sense memories which bring us home, back to the very kitchen where wonderful smells and tastes filled our minds, hearts, and bellies with love. David & Deanna met in Nashville, Tennessee, a hub for music and food, two of their shared passions. While in Nashville, they worked for an inspirational and honored chef, Margot McCormack. She embraced a “farm to table” approach to cooking long before this became the norm among chefs of her caliber. She and a few others nurtured a respect for fresh, simple and beautiful food that tastes amazing. These inspiring people also emphasized the importance of knowing the origins of your food, developing a relationship with your farmers, and understanding your food’s journey from earth to table. Today, the Talberts are the parents of four amazing children who, like all kids, love a cool sweet treat on hot summer days. Tired of offering them ice pops full of high fructose corn syrup and artificial colors/ingredients, David and Deanna started a little kitchen experiment making all natural popsicles from fresh, delicious, local and seasonal produce. They pressed the neighborhood kids into service as their original focus group to identify flavors which were truly kid tested and approved. The result? Absurdly delicious pops like Roasted Blueberry Lemonade, Pineapple Cilantro with Cayenne and Lavender Chocolate. Essie & Olive strives to bring a bit of joy to its community with sensational tastes and wholesome treats. You can find them at area special events and local venues. As we transition to our new (old) home in Nashville, TN you can be sure you will see Essie & Olive popping up at some of your local “go-to” places. We promise to keep you up to date!